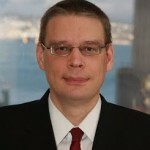 Linas Antanavicius is a lawyer in Vancouver, British Columbia, Canada. He has been representing and advising public and private companies and individuals on a variety of matters in the areas of civil litigation, international arbitration, corporate-commercial, aboriginal, gaming, securities, employment, personal injury, municipal, and administrative law. Litigation, corporate commercial and securities law are Linas’ preferred areas of practice. Industry Experience: Gaming, exploration, wind energy, professional corporations, liquor distribution, distribution of fire prevention products. Bar Admission: British Columbia (2004) Languages: English, Lithuanian and Russian.